The asteroid that punched an “eye” in the Moon is about 10 times more massive than originally thought. Researchers say a protoplanet-sized body slammed into the Moon about 3.8 billion years ago, creating the area called Imbrium Basin that forms the right eye of the so-called “Man in the Moon.” Additionally, this large body also indicates that protoplanet-sized asteroids may have been common in the early solar system, putting the “heavy” into the Late Heavy Bombardment. 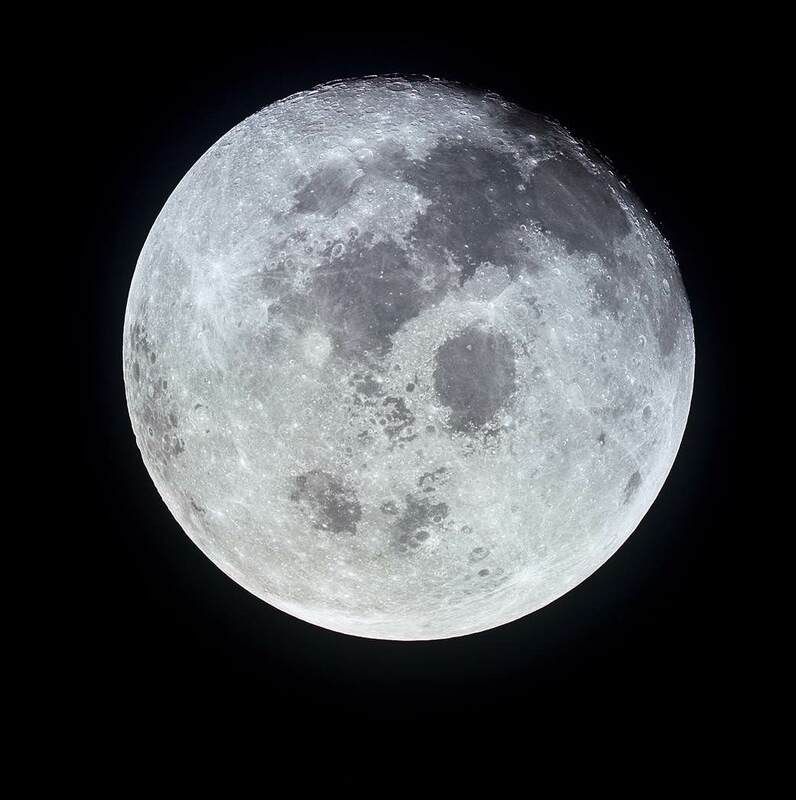 The Imbrium Basin is easily seen when the Moon is full, as a dark patch in the Moon’s northwestern quadrant. It is about 750 miles across, and a closer look shows the basin is surrounded by grooves and gashes that radiate out from the center of the basin, plus a second set of grooves with a different alignment that have puzzled astronomers for decades. To re-enact the impact, Schultz used the Vertical Gun Range at the NASA Ames Research Center to conduct hypervelocity impact experiments. This facility has a 14-foot cannon that fires small projectiles at up to 25,750 km/hr (16,000 miles per hour), and high-speed cameras record the ballistic dynamics. During his experiments, Schultz noticed that in addition to the usual crater ejecta from the impact, the impactors themselves – if large enough — had a tendency to break apart when they first made contact with the surface. Then these chunks would continue to travel at a high speeds, skimming along and plowing across the surface, creating grooves and gouges. The results showed the second set of grooves were likely formed by these large chunks of the impactor that sheared off on initial contact with the surface. The second set of groove trajectories could be used to estimate the impactor’s size. Schultz worked with David Crawford of the Sandia National Laboratories to generate computer models of the physics of various sizes of impactors, and they were able to estimate the impactor that created Imbrium Basin to be more than 250 km (150 miles) across, which is two times larger in diameter and 10 times more massive than previous estimates. This puts the impactor in the range of being the size of a protoplanet. Schultz and his colleagues also used the same methods to estimate the sizes of impactors related to several other basins on the Moon, for example, the Moscoviense and Orientale basins on the Moon’s far side, which yielded impactor sizes of 100 and 110 kilometers across respectively, larger than some previous estimates. Combining these new estimates with the fact that there are even larger impact basins on the Moon and other planets, Schultz concluded that protoplanet-sized asteroids may have been common in the early solar system, and he called them the “lost giants” of the Late Heavy Bombardment, a period of intense comet and asteroid bombardment thought to have pummeled the Moon and all the planets including the Earth about 4 to 3.8 billion years ago. Schultz’s study was published in Nature. Even though the Late Heavy Bombardment is somewhat of a controversial idea, new research has revealed this period of impacts to the Earth-Moon system may have lasted much longer than originally estimated and well into the time when early life was forming on Earth. Additionally, this “late-late” period of impacts — 3.8 billion to 2.5 billion years ago — was not for the faint of heart. Various blasts may have rivaled those that produced some of the largest craters on the Moon, and could have been larger than the dinosaur-killing impact that created the Chicxulub crater 65 million years ago. “Our work provides a rationale that the last big impacts hit over an extended time,” said William Bottke principal investigator of the impact study team at the NASA Lunar Science Institute’s Center of Lunar Origin and Evolution (CLOE), based at the Southwest Research Institute (SwRI) in Boulder, Colorado. 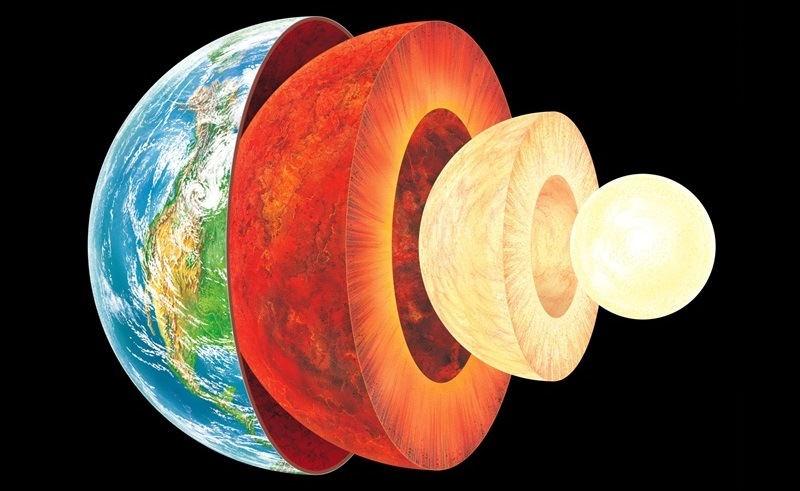 The evidence for these prodigious impacts comes from bead-like impact ‘spherules’ found in millimeter- to centimeter-thick rock layers on Earth and date from the Archean period of Earth’s history, more recent than the estimated LHB period of 4.1 to 3.8 billion years ago. The circles seen in the image above are all formerly molten droplets ejected into space when an asteroid struck the Earth about 2.56 billion years ago. 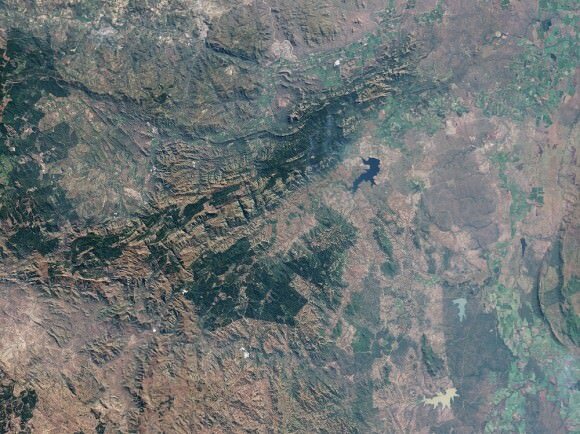 The droplets returned to Earth and were concentrated at the base of the Reivilo layer in South Africa. The spherules still contain substantial extraterrestrial material, such as iridium (176 parts per million), which rules out alternative sources for the spherules, such as volcanoes, according to Bruce Simonson, a geologist from the Oberlin College and Conservatory who has studied these ancient layers for decades. The timing of these impacts also coincides with a record of large lunar craters being created more recently than 3.8-billion years ago. At least 12 spherule beds deposited between 3.47 and 1.7 billion years ago have been found in protected areas on Earth, such as in shales deposited on the seafloor below the reach of waves. From these beds, the team found evidence of approximately 70 impacts on Earth during this time period that were likely larger than the Chicxulub impact. In their paper, which was published in Nature, the team created a computer model of the ancient main asteroid belt and tracked what would have happened when the orbits of the giant planets changed. They extended the work of the Nice Model, which supports the theory that Jupiter, Saturn, Uranus and Neptune formed in different orbits nearly 4.5 billion years ago and migrated to their current orbits about 4 billion years ago, triggering a solar system-wide bombardment of comets and asteroids called known as the LHB. The new computer model shows that the innermost portion of the asteroid belt could have become destabilized, delivering numerous big impacts to Earth and Moon over longer time periods. Have there been any previous indications about this period of impacts? Also, Bottke said, the number of people who look for impact spherules is almost equally scarce. “People such as Bruce Simonson, Don Lowe, Gary Byerly, and Frank Kyte, have been carrying on a long, lonely quest to try to get people to consider the implications of their work, which are deeply profound, in my opinion,” Bottke said. As for finding evidence of this later period of impacts on the Moon, Bottke said the problem there is the lack of solid ages for most impact events. Still, Bottke said, without using “fancy dynamics,” they can address some issues. The new study fits with the available constraints about impacts on the Moon as well as finding the right distribution of spherule beds on Earth. The best way to confirm everything, however, Bottke said, would be if more lunar rocks from various locations were available for study. Was the early solar system bombarded with lots of big impacts? This is a question that has puzzled scientists for over 35 years. And it’s not just an academic one. We know from rocks on Earth that life began to evolve very early on, at least 3.8 billion years ago. If the Earth was being pummeled by large impacts at this time, this would certainly have affected the evolution of life. So, did the solar system go through what is known as the Late Heavy Bombardment (LHB)? Exciting new research, using data from the Lunar Reconnaissance Orbiter Camera (LROC) may cast some doubt on the popular LHB theory. It’s actually quite a heated debate, one that has polarized the science community for quite some time. In one camp are those that believe the solar system experienced a cataclysm of large impacts about 3.8 billion years ago. In the other camp are those that think such impacts were spread more evenly over the time of the early solar system from approximately 4.3 to 3.8 billion years ago. What if the Apollo 17 samples didn't come from the Serenitatis basin, where the astronauts collected them, but rather from the Imbrium basin, located some 600 km away? Studies from the new Lunar Reconnaissance Orbiter Camera suggest this may be the case. If true, this means Serenitatis is much older than the Imbrium basin and a solar system-wide impact catastrophe is not needed to explain the uncannily close ages of the Imbrium and Serenitatis basins. Click on the image to download the full map and explore it in more detail. Dr. Spudis’s research focuses on the Montes Taurus area, between the Serenitatis and Crisium basins, not far from the Apollo 17 landing site. This is a region dominated by sculpted hills that have been interpreted to be ejected material from the adjacent Serenitatis basin impact. But, Dr. Spudis and his team have found that, instead, this sculpted material comes from the Imbrium basin some 600 kilometers away. Previous data of this area, from the Lunar Orbiter IV camera, hadn’t shown this because a fog on the camera lens made the details difficult to see (this fog problem was eventually resolved, and Lunar Orbiter IV provided a lot of useful data on other parts of the Moon).The new LROC data, however, shows that the sculpted terrain seen at Apollo 17 is very widespread, extending far beyond the Montes Taurus region. Furthermore, the grooves and lineated features of this terrain point to the Imbrium basin, not the Serenitatis basin, and line up with similar features in the Alpes and Fra Mauro Formations, which are known to be ejecta from the Imbrium impact. In the north of Serenitatis, these Imbrium formations even seem to transform into the Montes Taurus, confirming that the sculpted hills do, in fact, originate from the Imbrium impact. Recent high quality data from the Lunar Reconnaissance Orbiter Camera shows that the sculpted terrain, which is present at the Apollo 17 landing site, is related to material that is known to be from the Imbruim impact. This means that Apollo 17 may have sampled Imbrium and not Serenitatis material. This could explain the unusually close ages of these two basins, suggested by the Apollo samples. If so, the Serenitatis impact may have occurred much earlier than previously thought, meaning that a barrage of frequent bombardments did not occur, and life on Earth could have evolved without being molested by too many impact events. Click on the image to explore the LROC data in greater detail. Titan is a fascinating world to planetary scientists. 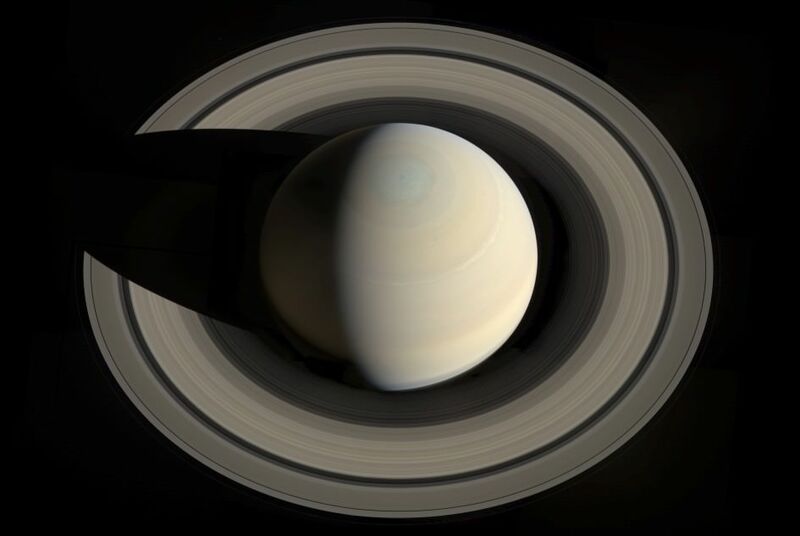 Although it’s a moon of Saturn it boasts an opaque atmosphere ten times thicker than Earth’s and a hydrologic cycle similar to our own – except with frigid liquid methane as the key component instead of water. Titan has even been called a living model of early Earth, even insofar as containing large amounts of nitrogen in its atmosphere much like our own. Scientists have wondered at the source of Titan’s nitrogen-rich atmosphere, and now a team at the University of Tokyo has offered up an intriguing answer: it may have come from comets. Traditional models have assumed that Titan’s atmosphere was created by volcanic activity or the effect of solar UV radiation. But these rely on Titan having been much warmer in the past than it is now…a scenario that Cassini mission scientists don’t think is the case. New research suggests that comet impacts during a period called the Late Heavy Bombardment – a time nearly 4 billion years ago when collisions by large bodies such as comets and asteroids were occurring regularly among worlds in our solar system – may have generated Titan’s nitrogen atmosphere. By firing lasers into ammonia-and-water-ice material similar to what would have been found on primordial Titan, researchers saw that nitrogen was a typical result. Over the millennia these impacts could have created enough nitrogen to cover the moon in a dense haze, forming the thick atmosphere we see today. This model, if true, would also mean that the source of Titan’s nitrogen would be different than that of other outer worlds, like Pluto, and even inner planets like our own. See the published results in the journal Nature, or read more on NewScientist.com. Top image is a combination of a color-composite of Titan made from raw Cassini data taken on October 12, 2010 and a recolored infrared image of the comet Siding Spring, taken by NASA’s WISE observatory on January 10, 2010. The background stars were also taken by the Cassini orbiter. NASA / JPL / SSI and Caltech/UCLA. Edited by J. Major. Note: the image at top is not scientifically accurate…the comet’s tail would be, based on the lighting of Titan, pointing more to the ten o’clock position as well as forward toward the viewer’s left shoulder. This would make it ‘look’ as if it were going the opposite direction though, away from Titan, and so I went with the more immediately decipherable version seen here. To see a more “realistic” version, click here. Mars is a small planet. In fact, for scientists who do solar system modeling, the planet is too small. “This is an outstanding problem in terrestrial planet formation,” said Dr. David Minton from the Southwest Research Institute. “Everyone who does simulations of how you form terrestrial planets always ends up with a Mars that is 5-10 times bigger than it is in real life.” Minton has been working alongside colleague Dr. Hal Levison to create new simulations that explain the small size of Mars by including the effect of what is known as planetesimal-driven migration, and additionally, small objects that Minton calls “Marstinis” could stir or shake up our ideas about the early solar system and the Late Heavy Bombardment. Planetary scientists agree that the terrestrial planets formed very quickly within the first 50-100 million years of the solar system’s history and our Moon formed from an impact between a Mars-sized object and the proto-Earth at some point during that time. Much later was the Late Heavy Bombardment, the time period where a large number of impact craters formed on the Moon within a time span of only seventy million years — and by inference Earth, Mercury, Venus, and Mars were likely pummeled as well. Most planetary formation theories can’t account for this intense period of bombardment so late in the solar system’s history, but Levison was part of a team that in 2005 proposed the Nice Model, which suggested how the Late Heavy Bombardment was triggered when the giant planets — which formed in a more compact configuration – rapidly migrated away from each other (and their orbital separations all increased), and a disk of small “planetesimals” that lay outside the orbits of the planets was destabilized, causing a sudden massive delivery of these planetesimals – asteroids and comets — to the inner solar system. But, according to the model, planetesimals likely also caused the migration of the planets, too. The planets formed from a giant disk of gas, dust, rocky debris and ice surrounding the early Sun. Debris coalesced to form bigger planet-sized objects, and simulations shows that bigger planet-sized object embedded in a disk of smaller objects will migrate as a result of angular momentum and energy conservation as the planets scatter the planetesimals they encounter. Artists concept of planetesimals and Jupiter. Minton and Levison have been applying the same physics of planetesimal-driven migration to the formation of the terrestrial planets. So Mars’ growth got stalled at its current size because it migrated away from the planet-building materials. Minton said their simulations of this work really well. And with Mars there is a twist of Marstinis, which could offer an alternate explanation for the Late Heavy Bombardment. The migrating Mars could have picked up planetesimals in its resonance, where two or more orbiting bodies exert a gravitational influence on each other. The Plutinos are other Kuiper Belt objects near Pluto. That resonance means Pluto and the Plutinos go around the Sun three times for every 2 times Neptune does. There are also Two-tinos, which are caught in a 1:2 resonance with Neptune – and which are found towards the outer edge of the Kuiper belt. The new simulations show that these lines of resonances are almost like a snowplow, and as Neptune migrated out it picked up all these little icy bodies, Pluto and the Plutinos. This also could have happened to Mars, and as Mars migrated through the disk it would have also picked up little objects. But the interesting thing about the Marstinis, Minton said, is that a 3:2 resonance with Mars is actually a very unstable zone. So could the Marstinis be responsible for the Late Heavy Bombardment? Questions abound about the Late Heavy Bombardment. There are a couple of other arguments, too where the Marstinis fit the profile of what hit the Moon during the Late Heavy Bombardment. But there are other outstanding issues such as how long the Late Heavy Bombardment lasted, when it started, were comets ever important in the bombardment history of the Moon or was it all asteroids? Minton said further exploration of the Moon would answer many of these questions. “These are all things that we really need to go to the Moon to find out and there is almost nowhere else you can go to do it. It really is one of the best places to go to understand all the solar system history. Minton will present his findings at the upcoming Lunar and Planetary Science Conference in March, 2011.